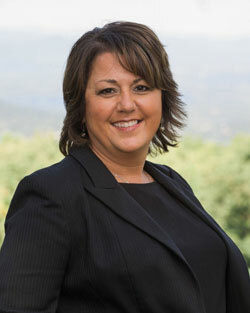 Diane has been working hard as our Executive in Orthodontic Management since 1992. She has a wonderful sense of humor, and is the backbone of Johnson Orthodontics. Diane and her husband Allen are the proud parents of their daughter Amy and son-in-law, Jon, and their son Walter Allen and daughter-in-law, Jenna. They are even prouder grandparents of their wonderful grandchildren, Rowan and Reese. Diane shares her home with her toy poodle, Lady. Her favorite hobby is shopping for Rowan and Reese; and she admits that it is something she is very, very good at! Jessie has been with us since 2013, helping you with managing all of your financial needs. She knows how amazing it is to provide the gift of a smile to either yourself or your child, and works with you closely to make your smile dreams a reality. When she’s not busy answering our patients’ account questions, Jessie enjoys spending her time with her beautiful daughter, Jillian, or frequenting local wineries and baking. Jessie is one of the sweetest gingers you'll ever meet! One of the friendly voices that you will hear on the phone belongs to Valerie, who has been part of the team since 2003. She is always ready to help our patients whenever they have questions or need to schedule their appointments. Valerie and her husband, Dave, were married aboard a cruise ship in the waters of the Caribbean by the ship’s Scottish captain in April 2011. Avid animal lovers, the two have a multitude of rescued four-footed children at home. She volunteers and is an occasional foster home for local animal organizations. In her time off, she can usually be found playing zombie games on Xbox, watching horror movies with the lights off, or curled up with a good book and a furry critter or three. Meeting wonderful people and making a difference in someone’s life is what Jennifer feels makes her job worthwhile. 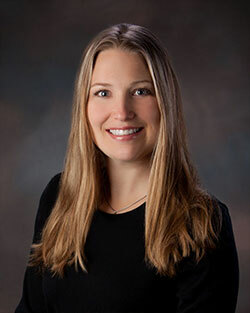 With her gentle, reassuring personality, Jennifer has been with our practice since 1998. She is another one of the sweet voices you will hear when you call our office. 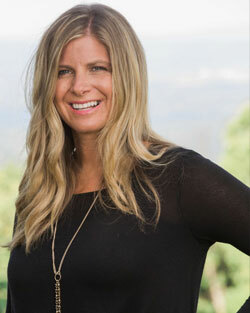 But, with her extensive experience in our office, you'll often see Jennifer wearing multiple hats! Jennifer spends her free time at home with her husband Russell, their two children, Brandon and Bryant, and pups, Skeeter and Ug. She has a fond spot for jet-skis and the lake, and they often pack the family up for camp trips! Melissa’s enthusiasm and energy are hard to match! She has been with our practice since 1999. She is Dr. J's expert on helping you get started on your incredible smile journey. She'll work with you to discuss all of your smile concerns and how we can get you the smile you want and deserve! And don't be surprised when she checks on you in the middle of your treatment, either. She's there for you the whole way through! When she’s not at work, Melissa is very busy at home with her husband Dave, their children and two grandchildren. Erin joined our team in 2017 coming from extensive experience in business management. In the office, you'll find her wearing many hats (from answering the phones, to taking pictures and radiogrpahs, managaing sterilization and to working in the lab so we can get your appliances turned around efficiently) to make sure your experience in our office is top notch! When she's not in the office, she spends almost all of her time with her boys (all 6 of them!) and her husband. Do you see the energy in her eyes?! 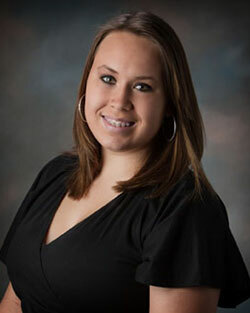 Brittany started working with us in January 2011. A quick learner, she was a great addition to our staff! Whether it’s bonding brackets or taking photos at your first visit, she works hard to make sure that everything is in place for the day your braces go on! When she’s not getting appliances ready for our patients, Brittany spends time with family. She and husband Chris were married in August 2011 and had a little girl in January 2015. Brooke has come to work each day since 2006 with a readiness to encourage and support her patients throughout their treatments. 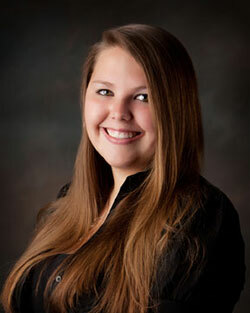 She loves the challenge of orthodontics, and when it comes to working with Drs. 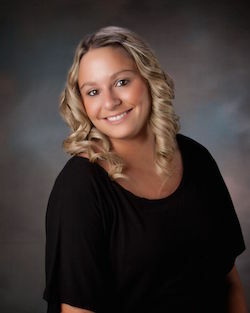 Wheelock and Johnson, Brooke has nothing but praise for their knowledge and expertise. When she’s away from the practice, Brooke enjoys spending time with her family, friends, and the most important men in her life: husband Mike, son Maverick and her nephews, Noah and William. She can often be found at the lake soaking up some sunshine. Since joining our team in September 2012, Erica connects really well with our teens. Erica’s fun, bubbly nature makes your appointments with us fun! When she’s not clipping wires and rebonding brackets, she likes to spend time in the sunshine, either at the lake or at the pool. Erica always enjoys spending time with her boyfriend and friends, whether in town or traveling on the weekends. Her niece takes up a lot of her time now as well! 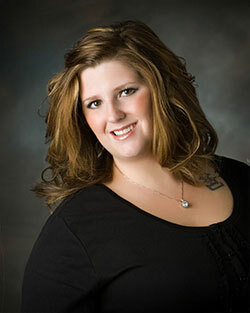 Michelle joined us at Wheelock & Johnson Orthodontics in 2012. She’s always cheerful and upbeat, and helps make our practice a great place for patients of all ages. 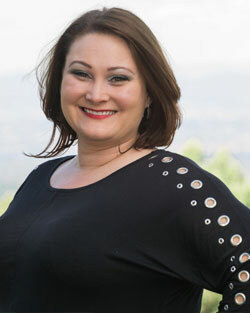 Michelle enjoys working with our patients, and being able to share the joys of a beautiful smile with others. When not encouraging our patients through their orthodontic experience, she enjoys time at home with her dogs, Nubby and Bella. She and husband Steven had a little boy in May 2015. Ona started working in dentistry in 2001 while in high school. 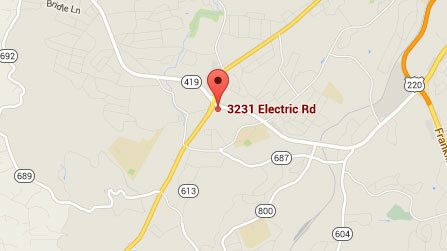 After seven years, we talked her into “moonlighting” for us at our Smith Mountain Lake location. In 2013, she agreed to come full time with us! When she’s not replacing brackets, she spends her time at home with her husband, her daughters, and dog, Genesis. She enjoys going four-wheeling and working in the yard. She is a great gardener.